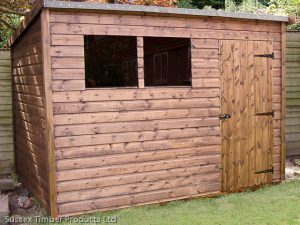 Products » Sussex Timber Products Ltd.
Sussex Timber Products Ltd. can supply you with a standard size shed or garden building, a made to order timber building, carport or garage, home office or garden studio. 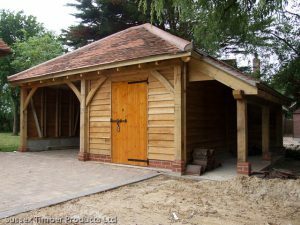 If you need a heavy duty workshop, or are looking for stables or a field shelter, in fact any building that can be made from timber, we will do our utmost to help. Our sheds and timber buildings are all hand built, in our own workshops using softwoods sourced from Scandinavia, the Baltic states, and here at home in the UK. Our forte is flexibility. If a standard shed or timber building does not quite fit the bill, then contact us and we will happily discuss your requirements for a custom built timber building. 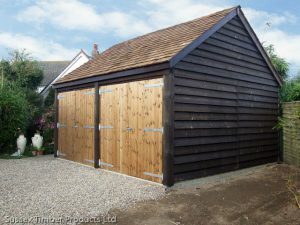 Unlike brick, block or concrete, a timber garage is inherently condensation free, has natural insulation and is easily heated to provide ideal vehicle protection. Carports (synonymous with Carriage Houses) are designed to offer a more traditional look than the ‘normal’ garage, and are very popular from the ‘ease of access’ point of view. 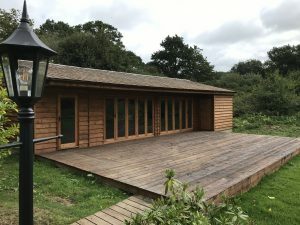 A range of Timber buildings from utility buildings to garden studios, from pump housing to pool rooms – the list is endless. A full range of timber garden buildings, including sheds, chalet, summerhouse, workshop, solar and potting sheds, mini sheds and garden tidys.